Venezuela’s held three elections in just five months, which have left President Nicolas Maduro with almost absolute power. Predictable maybe, with the opposition boycotting the polls, after reporting all sorts of irregularities. Among those who refused to take part was Antonio Ledezma, former Mayor of Caracas and an opposition leader. After spending 1000 days in detention, in prison and under house arrest, he escaped from Venezuela last month. First by car to Colombia, and then he took a flight to Madrid. 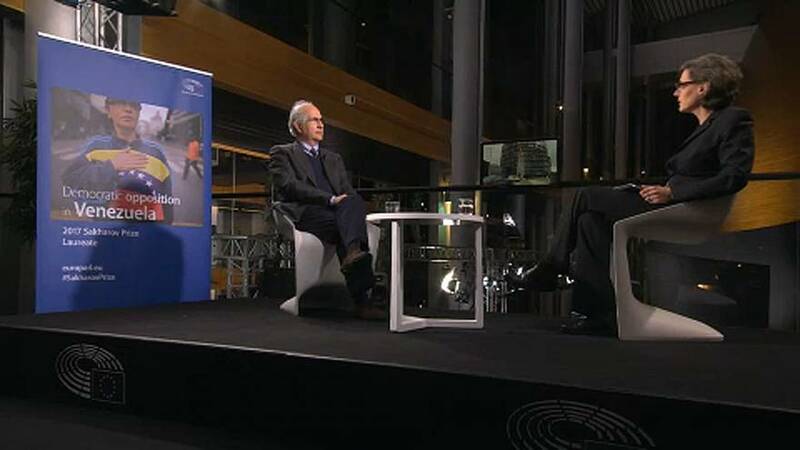 Ledezma has travelled to Strasbourg to receive the EU’s Sakharov Prize for Freedom of Thought, where he spoke to Euronews. Euronews: “I would like us to talk about the population of Venezuela. Because the feeling we see in Europe is that it is very divided. In the last elections, Maduro achieved good results. It is true that it was completely predictable since the opposition didn’t take part. But, he still has a significant number of voters and surely it is among the most humble layers of the population.